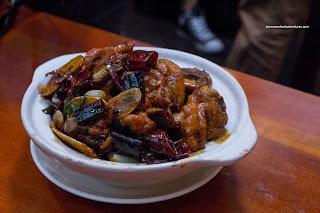 A ChineseBites dinner? Whoa, it's been like half-a-year since the last one. Yah, it was hiatus of sorts, but the dinners are back and in full-force. 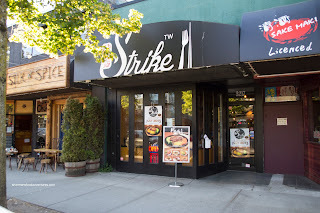 Our first one was at Strike on Broadway in Kits. Now with a name like that, one would not immediately think "Taiwanese food". Alas, we are beginning to see more and more Chinese restaurants open up on the Westside (Peaceful soon to open as well). 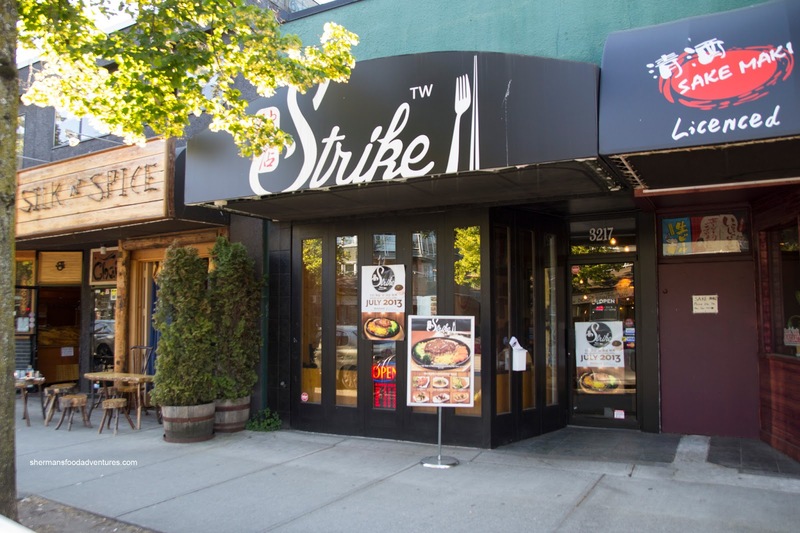 Situated in a former ramen joint, Strike is not very big and neither is the kitchen. While we were there, they did their best to make it work. We started with an order of Strike Special Yam Fries served with a plum dipping sauce. The fries themselves were pretty good with a light crispiness while being soft and sweet. They were not greasy nor heavy, however, the dipping sauce did not go at all. 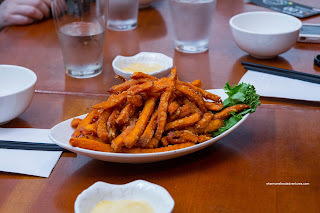 It was aromatic and sweet, but the fries needed something spicy and savoury since they were sweet to begin with. Next up was the Strike Thai Style Chicken which was crunchy on the outside and slightly dry on the inside. The flavours were nice though with pungent onions, sweetness and some spice. I liked how it wasn't too sweet. 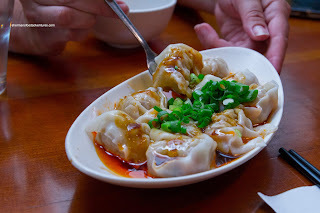 Being quite large in size, the Wonton with Chili Oil Sauce were okay. I found there was too much cabbage in the filling which made them a bit soft. I would've preferred the wontons to be more meaty. On the other hand, the amount of chili oil and spice level was good though. There was also a nice balance of sweetness as well. 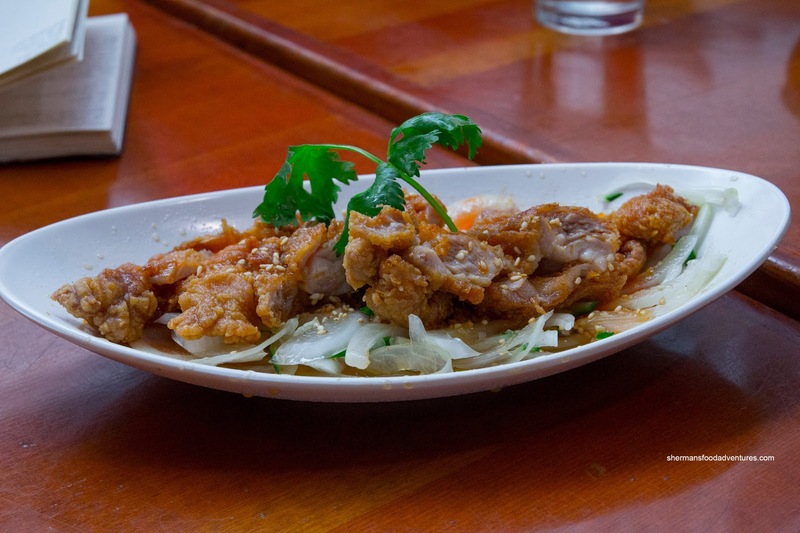 With familiar flavours such as 5 spice, the Deep Fried Pork Chop was a touch dry and slightly crispy. Again, there was a notable level of sweetness. 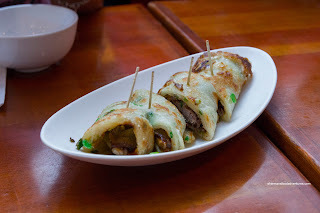 We weren't huge fans of the Five Spice Beef Wrap as the pancake itself was too thick and doughy. As a result, the pancake absorbed quite a bit of grease. However, the beef itself was sliced thin and tender while there was a good amount of hoisin. 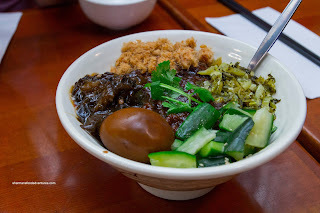 Onto more substantial dishes, we had the Taiwanese Braised Minced Pork Rice. The rice itself was chewy topped with a variety of ingredients including fatty pork in a rich thick bean paste sauce, pickled mustard greens and tea egg. The sauce itself was a bit on the greasier side and sweet. As expected, we were served a large plate of Deep Fried Chicken Nuggets. These were juicy on the inside and crispy on the outside. The meat was sweet while the batter was slightly spicy. Of course there was the usual 5 spice hit. 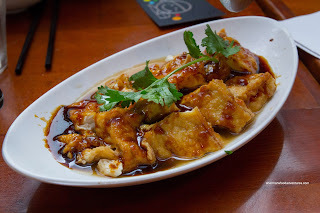 Unexpectedly, one of the best dishes of the night was the Stewed Tofu with Garlic Sauce. The dish was served hot which featured soft tofu with a chewy exterior. The sauce was flavourful with a nice balance of savouy and sweet elements. 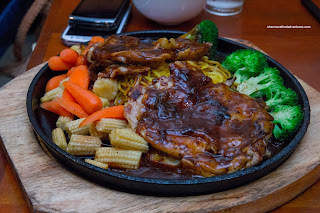 Onto 2 more substantial items, we tried both the Taiwanese Style Steak and Taiwanese Style Chicken Steak. Both were served atop spaghetti and accompanied by carrots, baby corn, broccoli and a fried egg with black pepper sauce. 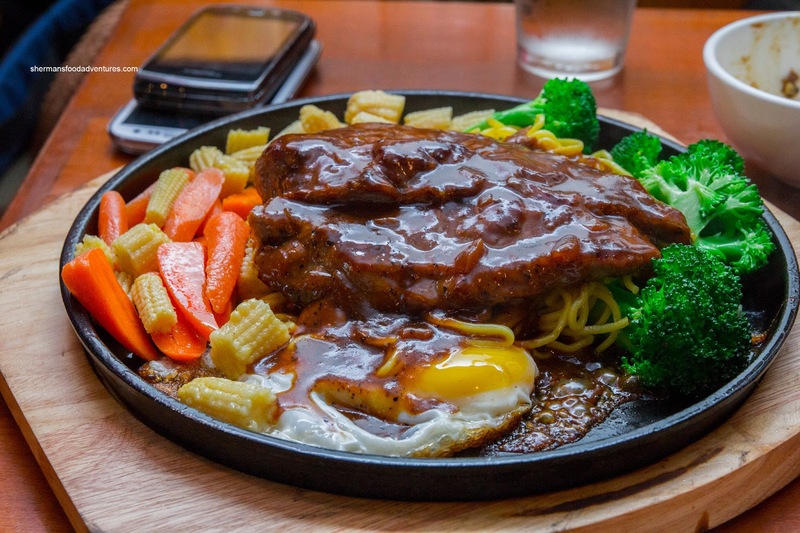 The tenderized beef steak was easy to chew while still maintaining some meat texture. 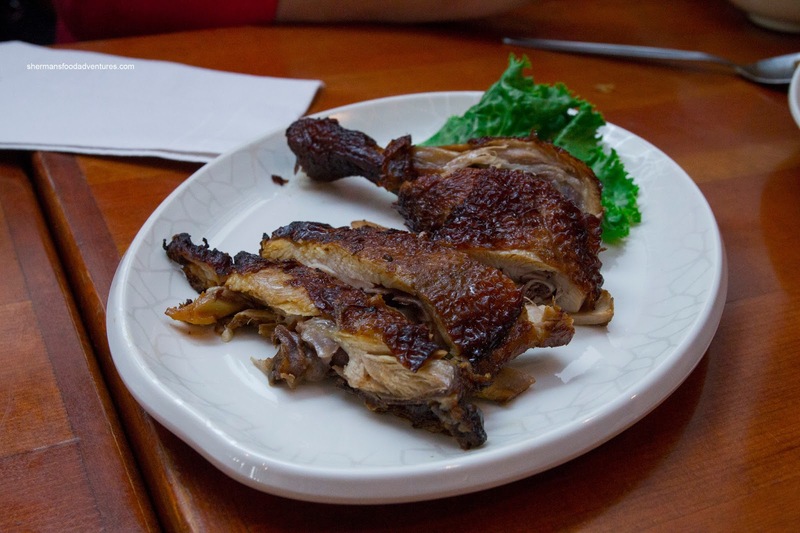 As for the chicken, it was tender and juicy due in part by the use of dark meat. The black pepper sauce was quite spicy as there was an abnormal amount of black pepper. Not exactly balanced, but I personally like spicy, so it worked for me. The veggies were still firm while the spaghetti was on the softer side. I know this might seem minor, but I would've preferred the egg to be plated with more care as it was either popped or lost underneath the meat. 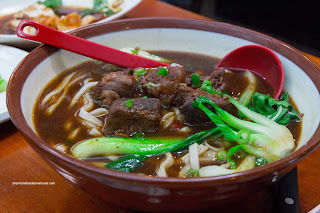 Moving along, we had the House Special Beef Noodle Soup. Although the beef was dry (due to the cut of meat), it was still sufficiently tender. The little ribbons of tendon within the meat were soft and gelatinous. The thick and chewy noodles rested in a slightly beefy broth which benefited from a good amount of pickled mustard greens. 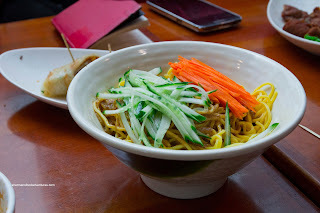 Continuing with noodles, we had the Taiwanese Style Cold Noodles as well. These were tossed with a peanut sauce and topped with crunchy carrots and cucumber. I found the noodles a bit soft while the peanut sauce mild. This was only "okay" in my books. Heading into the homestretch (eating is tough you know... LOL), we had the Strike Speical BBQ Chicken which was dry in my opinion. It was flavourful though in a Chinese BBQ kind of of way. There was definitely some 5-spice going on as well. 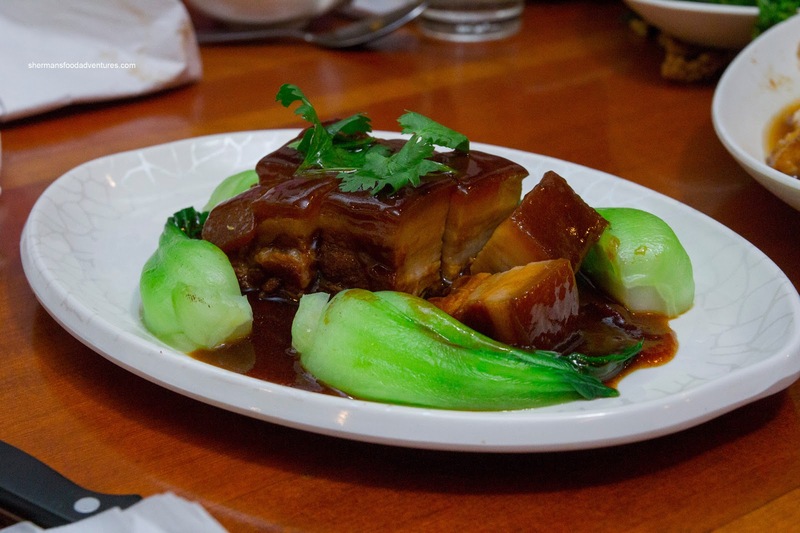 Although we were stuffed at this point, they presented one of the heaviest dishes being the Slow Braised Pork Belly with Spiced Soy Sauce. 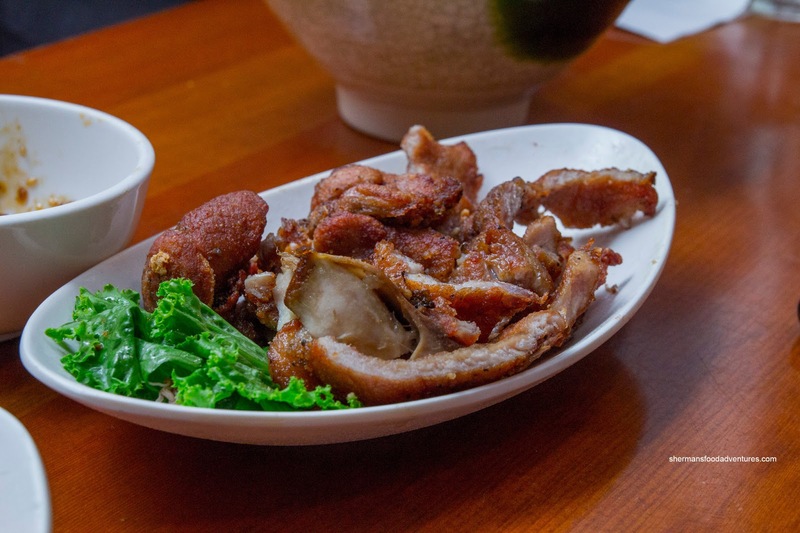 This was well-prepared with moist and rich pork belly where the fat exhibited an appealing gelatinous texture. The thick sauce had depth with a nice balance of salty and sweet. 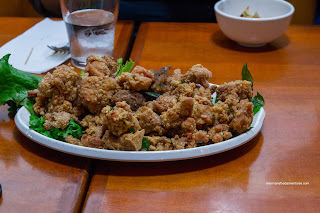 Lastly, we had a variation of a Taiwanese classic being the Stir Fried Chicken with Shaoxing Wine. Similar to the 3-Cup Chicken, but not, the flavours leaned towards Szechuan spicy rather than tart and sweet Taiwanese version. The chicken was juicy and really took on the wine flavour. Without stating the obvious, we sampled a big portion of their menu and it was more or less pretty good. The prices are quite reasonable for the quality and quantity of food. Moreover, without much in the way of competition nearby, Strike will be busy.